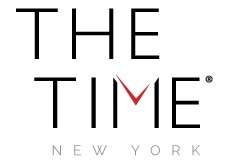 Kanvar Singh is General Manager of The Time New York. He began his career with Dream Hotel Group as Front Desk Agent at The Time New York in 2002. He quickly rose among the ranks to become one of the youngest GMs in the city at Night Hotel in 2008, where he was responsible for both the hotel and its food & beverage venues. Under his leadership, Night was voted “the sexiest hotel in America” by TripAdvisor and won multiple service awards from Booking.com, TripAdvisor and Agoda. Kanvar returned to The Time New York as General Manager in 2010, managing both The Time and Night properties for over a year. In 2011, Kanvar shifted all his energy to focus on The Time New York, starting with the $20 million, property-wide renovation and redesign by Rockwell Group, which recently debuted in December 2015. I got into hospitality because I really admire Mr. Chatwal, the owner of the Dream Hotel Group. While I was still in college, I started working in his hotels as a management trainee. Once one gets into hospitality, he or she either loves it or hates it. I have a lot of passion for it, and I love going to work. My passion for hospitality has guided me to where I am now. I could not be doing anything better than this, it’s such a big part of me. With the rise of millennial consumers, there are many new technological trends emerging in the hospitality industry. The industry needs to adapt to millennial consumers by being more transparent and tech savvy, with a strong focus on empathy and customer connection. At The Time New York we incorporated smart TVs as well as wireless check-in. Consumers now actively engage in social media channels with us including Facebook, Twitter, and TripAdvisor to share their experience and feedback. "Foodies" are a distinct subset of this market looking for a gourmet experience at appropriate prices. Multi-generational travelers are looking for unique and novel experiences, so it is important we are able to accommodate all guests. As more travelers prefer technology to human beings, bypassing the front-desk, using a digital concierge, saying good bye to bellmen and other traditional positions is an opportunity that we have already implemented. Rethinking how to communicate with guest behavior will mean using more data and efficient staff. Recommendation engines will allow guests to obtain "good service" on an array of travel needs once handled by the hotel. Group planners will also expect easy online planning capabilities and fast rates. While a help yourself model will focus on technology to drive service, staff will need to be better able to create and execute on a "new" model of service. 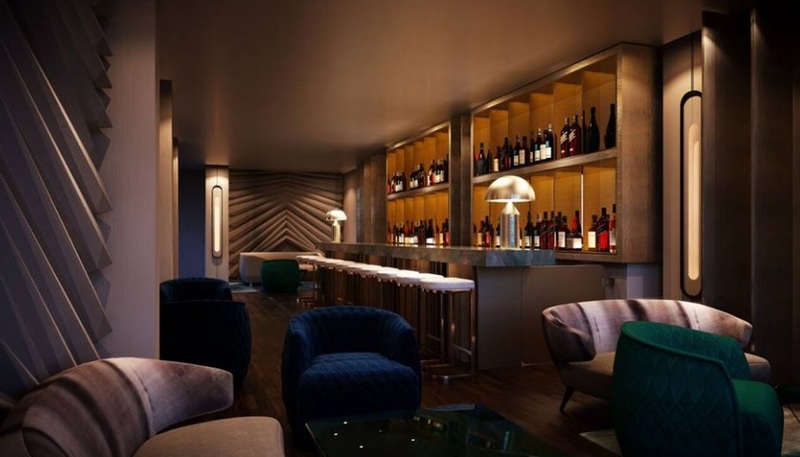 Our brand and style reflects a refined and stylish urban retreat for locals and travelers alike to dine, work and play. As the digital world and technology becomes more entwined in our daily lives, service must also include enabling guests to be self-sufficient. The rise of digital travelers requires the hotel industry to balance the expectation of personalization while enhancing the millennial need to remain independent. In the near future we will develop a more unique design and concepts for hotels that encourage the emerging boutique and lifestyle hotels. Guests will be more self-sufficient while also being pampered with our outstanding services. As a lifestyle hotel, the guests will feel more at home in a unique environment that will also encourage social integration. Starting with a game plan, teamwork, and communication are key to the success of a business. This also includes the concept that all the customer’s needs will be met every possible contact with your business: before, during and after the customer arrives, stays and leaves your business. Loyalty, training, coaching, and the motivation of a team is very important for a hotel to be successful and having a great team is imperative. My most difficult moment in my hospitality career was being the youngest General Manager at the age 25. I was surrounded by knowledgeable and experienced managers and department heads, from which I had to gain their respect as a young leader. I was also the youngest to participate in the General Manager program at Cornell, and bringing what I learned into reality was a challenge. I worked 14 hours or more a day and worked hard to gain respect from the department heads. By speaking to them respectfully and encouraging teamwork we gained respect for each other. I was able to learn from each department head and assist them with their needs. As a leader you can learn from those you lead as they can learn from you. The perfect customer experience requires a set of interactions that consistently exceed the needs and expectations of a customer. People like to share their good experiences and a good customer service experience can turn a one-time customer into a lifelong customer. We like to provide each of our guests with warm and personalized attention to show we care about them as not only customers, but people. This interaction encourages a sense of loyalty and can help you better understand what motivates your customers. Empower each individual and lead by example. A game plan will also help establish and encourage employee harmony. Setting incentives and promoting unity will help achieve individual and team goals. I believe in motivating, coaching, and guiding people to what they want to become and reach their final goal. Provide a strong sense of vision and direction to guide one’s employees, provide good leadership through example, reduce employee turnover so as to retain experienced, quality help and turn problems into opportunities. Guide your employees to achieve their goals and help them become the best they can.